The meter seals is made of a seal box and a block, with a bayonet and a bar code label inside the box, and a pin at the front of the block. It combined the bard code and the seal, easy to seal, easy to install, high security, not recoverable once removed, to prevent the electronic meters or other meters from illegally opening. Also, it is recognizable and has anti-counterfeiting functions, which is conducive to management. 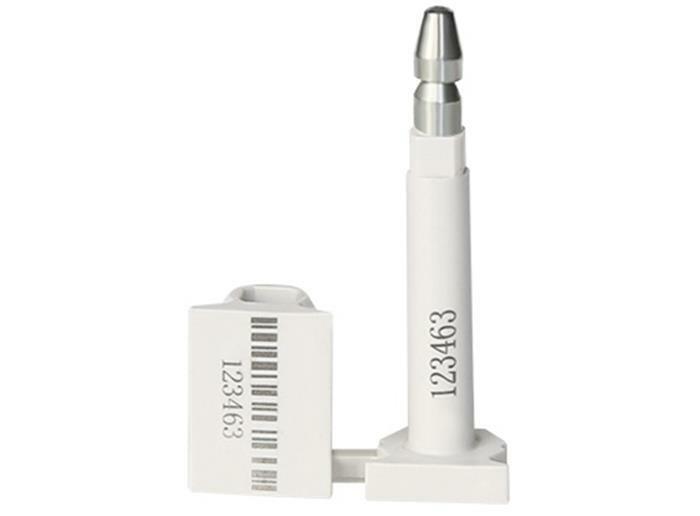 The bar code high security seals include a seal body and a plug, with a bayonet in the seal body. The plug has two parts, part 1 and part 2, which are set up according to the plugging direction. This two-parts design with simple structure, easy to install, cannot be removed after the installing, to ensure the security of the bar code in the seal.